Wouldn’t it be fun if someone where to discover a fun and playful secret to reducing stress and doing better on tests? Well then we have great news for you! Even if you are not a student this awesome technique could help you relax before a job interview, going on a date, or anything that would normally stress you out. Recently a few different universities have found that if a student plays with puppies or kittens before taking a test, they will score much higher than they would have under normal circumstances. How could this be? Studies have shown that not only are baby animals fun to play with but they also have a natural stress reducing effect on us humans. We know that spending time in nature and other powerful grounding techniques can reduce stress and anxiety but maybe doctors should start prescribing play time for those who just need a little boost to brighten their day. It is no secret that going to school can be very stressful for people. Between writing papers, working on projects, listening to lectures, and taking exams students can statistically have some of the highest stress levels of any age group. On top of that, students will often show the highest rate of stress and sickness during finals, trust me I have been there myself. The University of Lancashire is just one of many institutions that have begun using what is known as ‘puppy rooms’ to help stressed out students calm down and prepare for tests. 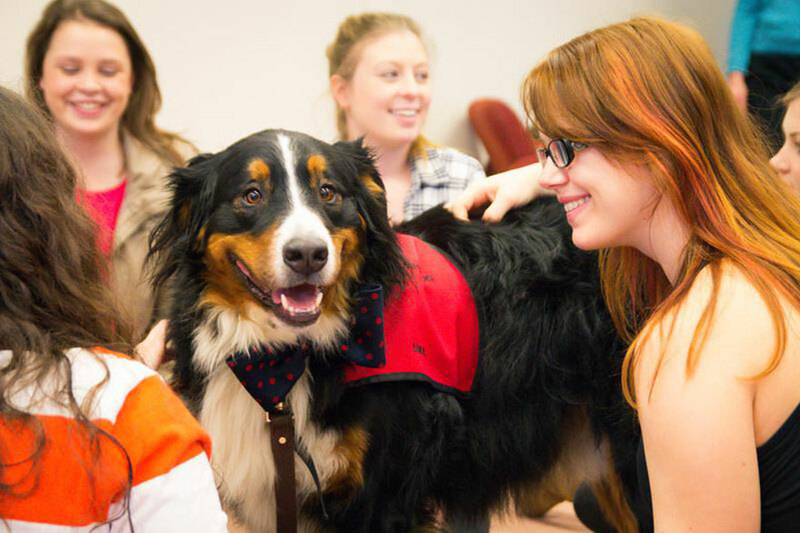 The puppy room program is cleverly called SOS or the Stressed-out-student campaign. These aren’t just any puppies. The puppies used for this specific program are being specifically trained to be guide dogs to assist people in need. 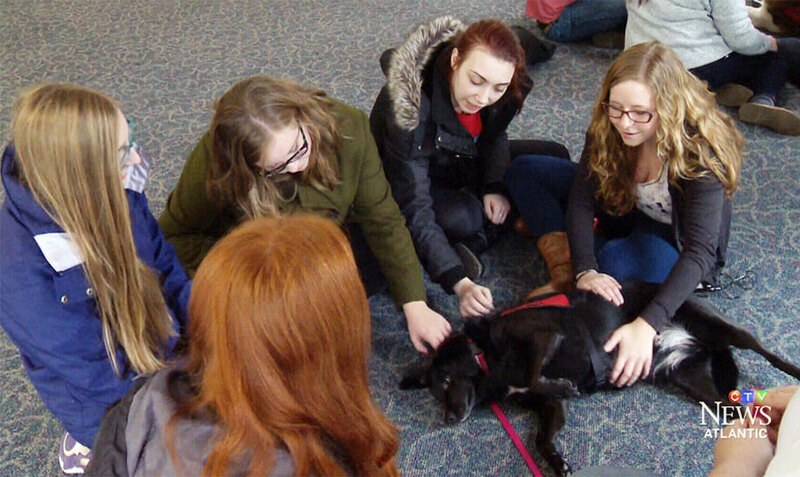 This makes the program a win, win scenario because the stressed out students can have some ‘de-stressing‘ and the puppy’s can get used to interacting with people. Just to make sure everything goes smoothly the puppies have their own de-stress room too. If at any time the puppies become overwhelmed, or just need a break from people the near by trainers will take them on a break. 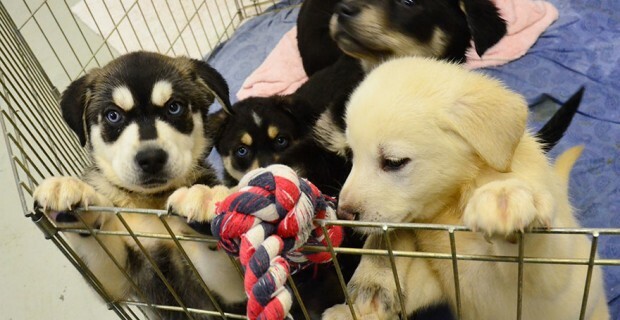 According to the SOS the amount of students allowed to schedule the puppy room is determined on the available number of puppies that day. As word of the success of these program spread many Universities are finding that their puppy rooms stay booked with students all the time. And to help fund the programs some Universities will ask for a donation fee to help with the puppies care. In one Japanese Study researchers found that if students play with a puppy or kitten before they take an exam they will score up to 44% better. With statistics that high you would be crazy to not take advantage of that deal! Plus who wouldn’t want to spend time with playful little puppies? Tagged as baby animals, dog, Japanese study, kitten, play, puppy, research, stress, students, test, university.